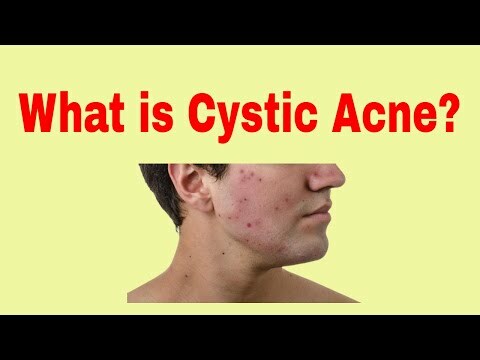 What is Cystic Acne? Considered the most severe type of acne, nodulocysticacne, or cystic acne, is painful and leaves permanent disfiguring scars on its victims. 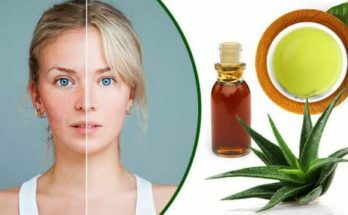 It is an inflamed breakout that develops onthe face and other areas of the body that leaves behind large blemishes measuring upto several centimeters across. The name derives from the cyst that developsdeep within the skin following infection. The cyst is filled with pus and is found undera swollen pustule. 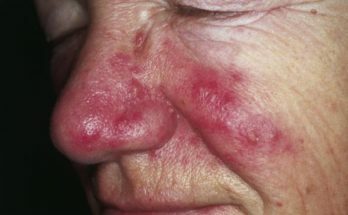 Not all severely inflamed acne can be consideredcystic. The existence of a cyst distinguishes thisform from the common acne known as acne vulgaris. A person suffering from nodulocystic acnenot only develops cysts but also nodules. Unlike cysts, which feel soft, nodules arehard lumps under the skin's surface, and they can also be painful. Since nodules from deep within the skin, theytake a long time to heal. The term "nodular acne" refers to a particulartype of acne that develops nodules but does not have cystic lesions. Teenage boys and young men are more proneto cystic acne generally, although women are likely to suffer from it during their menstrualcycle or post pregnancy. Nodulocystic acne can actually occur at anyage, but it is more common during the teenage years when various hormonal changes take placein the body. Experts believe that the main cause is overactivityof the sebaceous glands. Extra oil is secreted by these glands andclogs the pores on the skin surface, and it then combines with external bacteria to forman infection in the clogged pores. When left unchecked, the infection could affectthe deepest tissue of the skin, causing the painful nodulocystic acne. The presence of dead skin cells within thepores causes cystic acne as well. The likelihood of developing scars followingnodulocystic breakouts is extremely high because of the severe damage to surrounding skin tissues. In order to prevent the development of permanentscars, pricking and scratching the affected portions of the skin should be avoided. 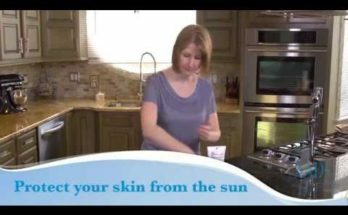 Those who are suffering from cystic acne areadvised to seek professional medical help. This type of acne requires systematic medicationthat only healthcare professional can provide. Unlike common acne that can easily be treatedwith topical bactericidal, nodulocystic acne requires a combination of more aggressivetreatments that include oral antibiotics, intralesional corticosteroid injections, andpossible surgical excision and drainage.